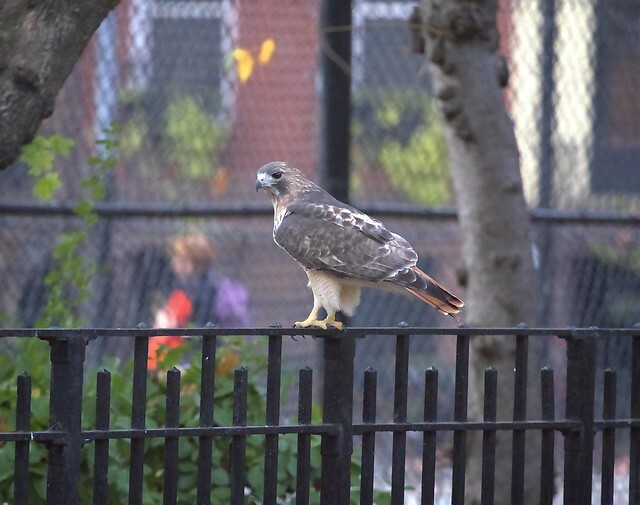 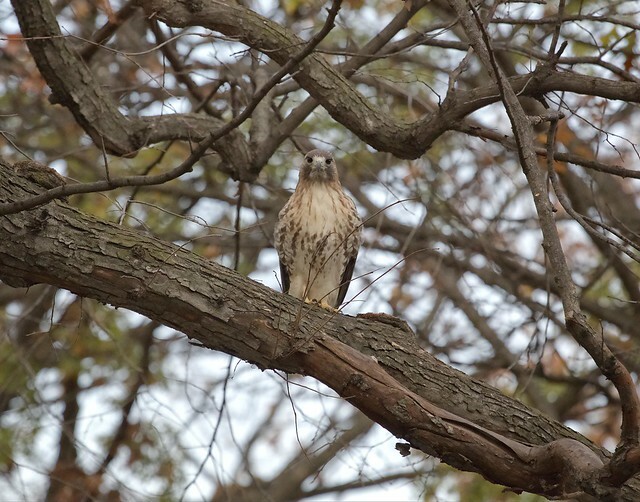 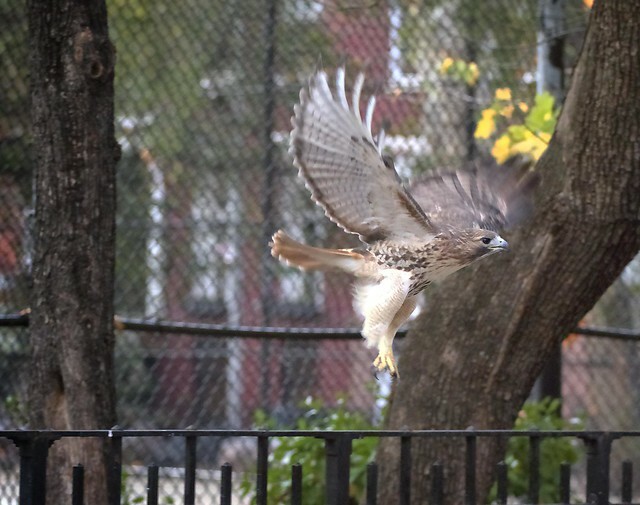 Monday afternoon saw red-tailed Christo going about his usual hunt for dinner behind the Tompkins Square Park offices. 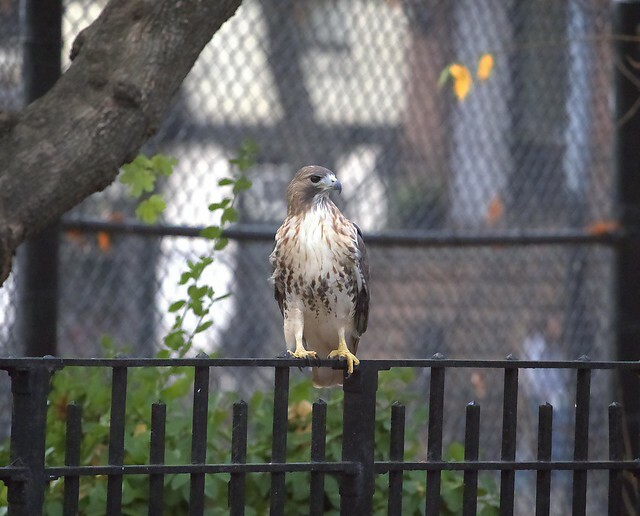 He took interest in the rats running around under the shrubbery along the western fence. 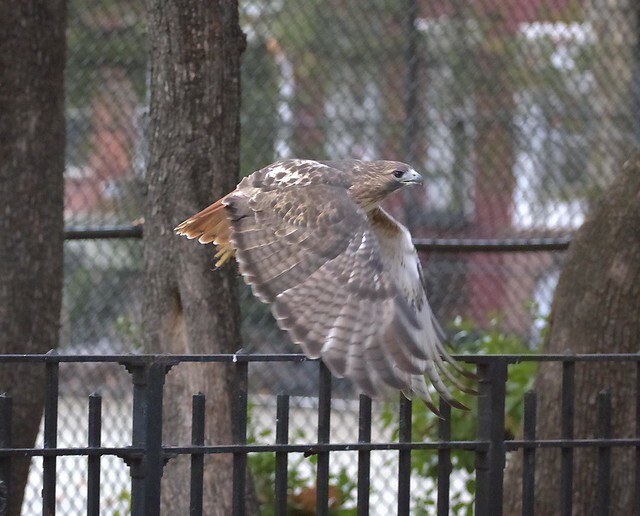 Not satisfied with the selection, he flew to the 10th Street edge of the park. 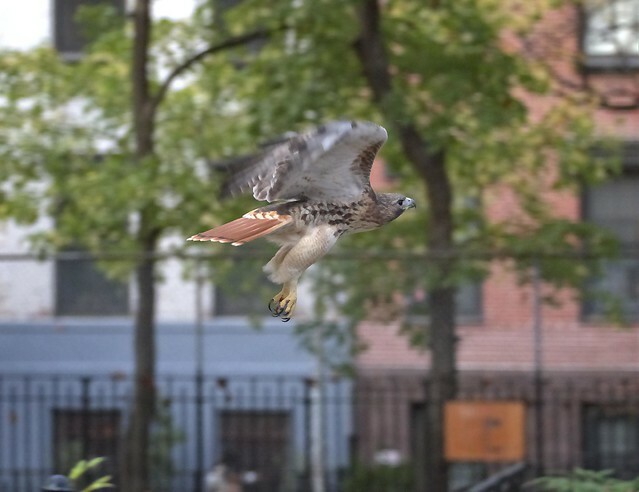 As I had to run, I reluctantly left him to finish his business.